The Big Move...The Kesten's Are Leaving? This has been on our hearts for several years now: to move Kim's dad to Missouri from Florida in order to spend more time with him and give him a better quality of life. Kim and I are Floridian's by birth and we left all of our family behind when we moved north back in 2005. Her dad has dementia and is in an assisted living facility. He takes great joy in spending time with the kids and we knew the animals would be therapeutic for him, too. Unfortunately, we continued to run into difficulties with getting him here and Kim and I decided that it was time to go to him. The decision was definitely bittersweet. We will be reunited with family and friends we love and miss there, yet leaving friends who have become family here. Remington will be nineteen next month. He is more than capable of running the farm, and that's what he has decided to do. He has been a major part of this farm from the beginning, and now he is reaping the fruits of his hard-work! I have fond memories of Remi at just 10 years old dragging our very first chicken tractors across pasture our first year. I was still working outside of the home and he held down the fort while I was gone. 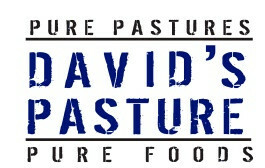 In fact, when we were trying to come up with a name for the family business, Remi says, "How about David's Pasture?" And hence became DP! :) It makes us so happy to have a farm to pass on to our first born son, and to come back and visit! He is loved by his local community, and he knows that he has just as much support from you guys. Some of you have known Remi since he was 10 years old and managing our first batch of pastured broilers! I hope you all know how much I'll miss this place. Our goal is to build an extension of DP in FL. My passion is farming and delivering you real food in a way that brings glory to our Creator, God. And Kim and I hope to continue to make it a family business, near or far, along with Remi. It may just look a bit more like "urban farming" for a bit. ;) Since moving to Missouri I have not wanted to leave - our community, our farm, our friends, - but we have the chance to give back to family and this time we can't let it pass. Kim's dad has always been there for us and its our hearts desire to be there for him. Be on the watch for our favorite PawPaw in future posts! Remi is staying and taking over along with John Cox, whom many of you have met either here at the farm or at the farmers market. John and his family have already become a huge behind-the-scenes part in the production of our beef and poultry. They have been our biggest cheerleaders in DP and we are so grateful for their encouragement and prayers along the way. We literally could not have come as far as we have without their gracious use of their land and resources. Together, he and Remi plan to continue serving you the same quality meats for years to come. There will be another post here soon with formal introductions and what's to come in 2019. There will be no major changes in the near future (other than this, of course) and I will continue to assist in the inner-workings of the farm and business as Remi takes the reigns. This is farewell for now. I am flying down to Bradenton in the morning, and Kim and the rest of the family will be moving down sometime late January. I can not say thank you enough for the support that you have given thus far, and for the love and support that I know you will show to Remi going forward. Winter letter from your farmer!